View current status of any GPIO. Sort by Description / GPIO number / SODIMM number / Evaluation Board jumper number / Pin position. Select alternate function of any pin. Note: For easy maintenance, we have split GPIOConfig tool into a separate GPIO tool for the iMX7 modules. 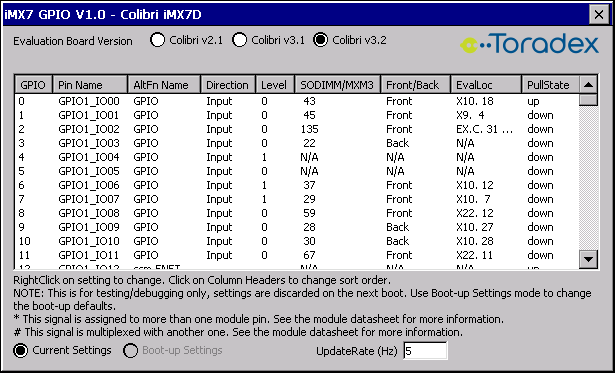 The iMX7 GPIO Tool works on Colibri iMX7D and Colibri iMX7S.